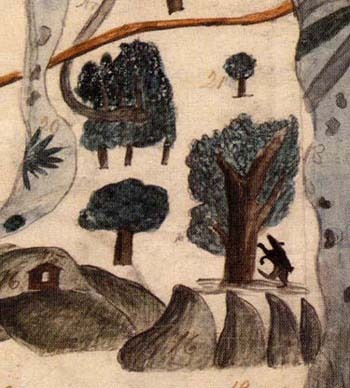 In the year 2000 Barry Lopez wrote an essay, The Near Woods, which described the elusive and magical space between the wild, deep woods and the civilized space of humans. 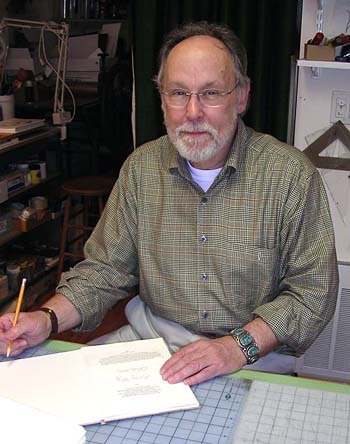 Jerry Reddan, a master letterpress printer and typographic designer, came upon the essay and published it in a small edition of 165 copies in paper covers through his Tangram Press in 2005. He also printed and left unbound an additional twenty-six copies to be made into a special edition.The special edition has been designed by Charles Hobson and has been published by Pacific Editions in the summer of 2006 and is signed by the author and the artist. 10 x 7 inches. Edition of twenty-six lettered copies signed by the author and the artist. Sold Out. A bear periodically invades the shed near the house where Barry Lopez lives in western Oregon. In the essay Lopez uses this event as the metaphoric peg on which to hang the essay's meaning. 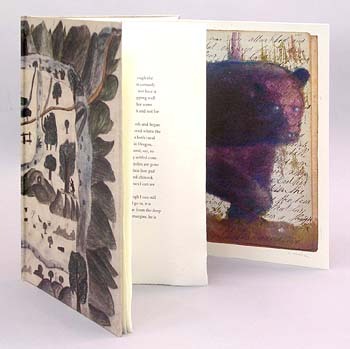 The special edition has been made with the image of a bear that folds out from the back page so that the unfolded bear can be a participant on each page of the essay. 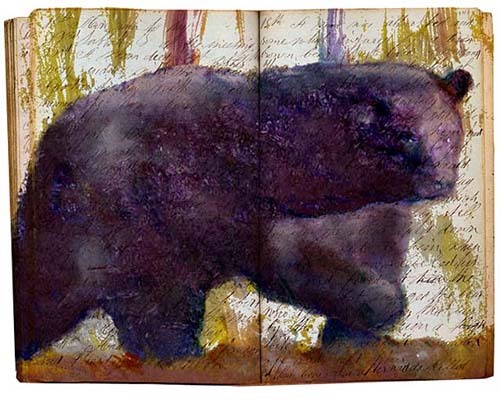 The image of the bear in each copy has been reproduced as a digital pigment print on German Etrching paper and has been hand-colored with pastel and acrylic paint by the artist. The book has been bound in boards and covered with a reproduction of “Dosiño del Rancho San Miguelito,”circa 1841, a drawing used to establish land grants in California and is reproduced with the kind permission of The Bancroft Library, University of California, Berkeley.